If you’re like me, the notebook you took to the Drum Major Academy® is filled with Starred Thoughts™, and each one seemed equally important as the next. At the time you might have thought they only applied to marching band, but as your compassionate eye developed, you saw that these were really life lessons, not at all limited to a football field or parade route. As someone who was often bullied growing up, music was my solace from it all. Why? Because as one of my favorite Starred Thoughts™ goes, “band is a place for everyone.” As we often joke during our summer sessions, the band director doesn’t replace the 1st string trumpets with the 2nd string when things get tough; there’s no offense or defense. We are one, we are a band. We are all included and everyone’s contribution matters. Band is a place for everyone. So when my good friend posted this story today, my heart filled with joy, and not just because I’m originally from Nebraska! It’s because this band gets it. With assistance from Dad (is it any surprise he’s a former Drum Major?! ), this band is making sure everyone is included. No matter what. Check out the fantastic story below. What are you doing to make sure YOUR band is a place for everyone? How can you apply that lesson in other parts of your life? Is there someone sitting on the sidelines that needs to feel included? Don’t wait for someone else; you have the power to do something about it. 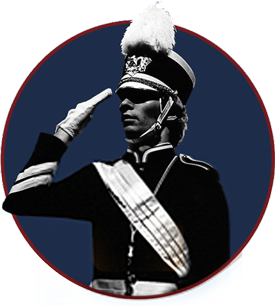 I attended the Drum Major Academy in Boise, Idaho in the summer of 1978–39 years ago. I still have my notebook from that session and continue to refer to it to this day. One of the stared thoughts from my notebook that summer was “Choose your battles carefully. Don’t fight every battle that comes along. Only fight battles you can win. Carefully evaluate potential loss and gain. 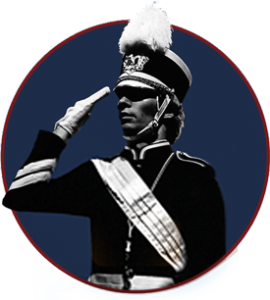 Make sure the potential gain is worth the potential loss.” I have used this and other principles taught by George Parks as a drum major in high school and college, in my professional life, in my marriage, and with my children. Thanks for preparing me and so many others to be effective leaders.